"It was exciting, fun, crazy, beautiful and magical. My experience was a little bit of everything and I could say that I am missing those days in Las Vegas. I have had fun and have had a great time with everyone." 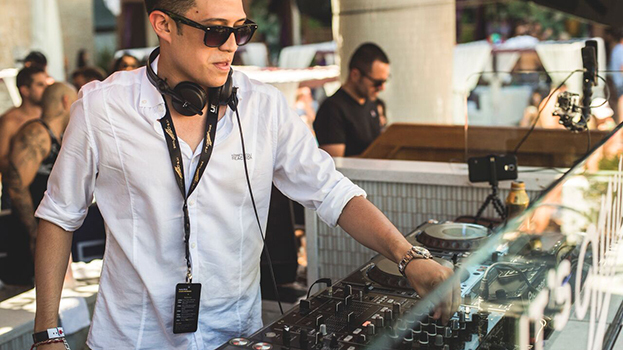 "Being able to do what I like and have the opportunity to play in Marquee’s Dayclub was priceless. Having the opportunity to visit the best clubs in Las Vegas was a dream come true and sharing the experience with all the participants of each country, the SAB Miller team and the people from Universal was something I really appreciate." "Also, having the people from Panama with me was something I really appreciated because they supported me from the beginning until the end (Ritmo Equis, Tatiana and Irma)." "I received many messages and probably still have not seen them all. I am really grateful and it makes me glad to see the empathy from my fans. I have seen a lot of people who were constantly supporting me during the competition. Every time I returned from the clubs to the hotel, I have had many messages from my family, friends, my colleagues, inclusive from acquaintances and friends who are living in other countries." "It was very emotional. I left the stage with a big smile, great conviction and security. I was not afraid; I felt eager to get to play in the competition and counted the seconds to go to the stage. 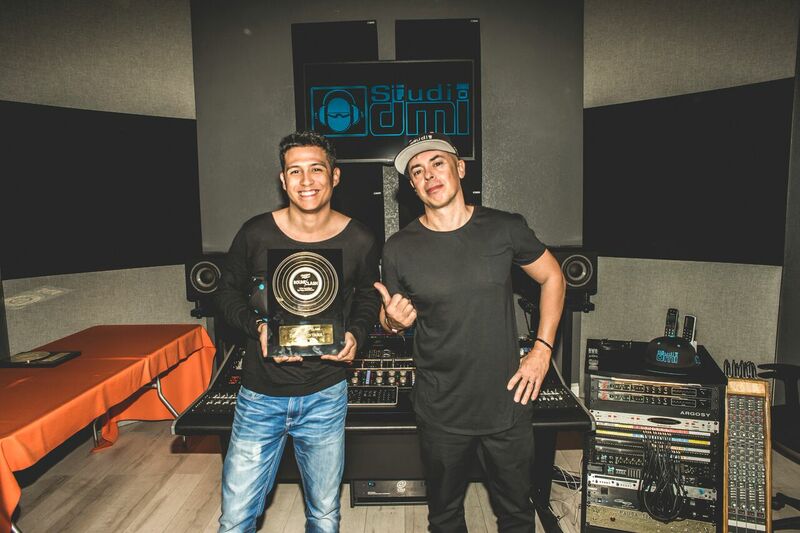 The next day, I almost cried when I received the second place of Miller SoundClash 2016." "After I played in Marquee Dayclub I had on my mind “Whatever God wants, it will be”. I was excited just to share the experience with the other participants and for playing in Marquee Dayclub. I can’t describe the feeling of being the first runner up of Miller SoundClash 2016, taking the award home and leaving my country at the top of the competition." "I am really happy and proud of myself. It was incredible. I took the time to study the crowd for 45 minutes and understand the reactions and emotions of each person during the pool party; I had to understand the competition space in order to play to impress." "I felt happy to accomplish what I wanted to do during my performance and had an excellent reaction from the crowd, they loved it, I know it! An advantage for me was that I had prepared for everything. I had a pendrive with all rhythms and styles including electronic, techno, and techno house music. Inclusive music from my own country." "I knew that when it came to my turn I would need to do something that could change the course without being drastic and be a good change from the previous DJ and the following DJ; something that would not be strange. I knew I had to do what I do in Panama and I did it! The audience reaction was amazing and at the end I received lots of congratulations from the guys working at the Marquee Dayclub as if they knew me for a long time. It was a great time!" "It was kind of rare, especially as Marquee Dayclub is a place I have heard a lot about in the last couple of years. I thought it would take me a long time to perform in clubs like that. Some international DJs that are popular in their countries said this opportunity was huge and I felt really excited about it. They felt happy for me because I had no fear, but courage to get on the stage with confidence, determination and conviction. Everything went well." "It was an incredible opportunity. A record contract with Aftercluv Dancelab was one of the main things that made me stay all night until 5:00am thinking over my set in Las Vegas. One of my goals was to achieve this great opportunity." "Right now, I feel happy about it and I think this experience will change the way I see things in the scene. I know that there is a path full of challenges, learning and this is the time to focus on my work 1000%. In addition, I know people will be watching me and I want to leave the name of Panama in each scenario. Great things are coming!" "I want to contribute in many possible ways. I do not want to focus on being a rock star who only travels and take photos with fans, but someone that could be an example to the children in my country. I know I am not Armin Van Buuren or Afrojack, but I would like to emulate some of what Tiesto is doing today in order to support, cooperate and give opportunity for new guys." "I would like to help the music scene in my country by creating international level profiles because I believe in it and in the new talents that are climbing. I’d like to contribute to growing the scene in other countries too; it would be a long-term project I would desire to achieve. I want to leave footprints in each scenario, each country and obviously without neglecting; and leave them with my talent, my songs, my skills, charisma and good vibes above the decks." 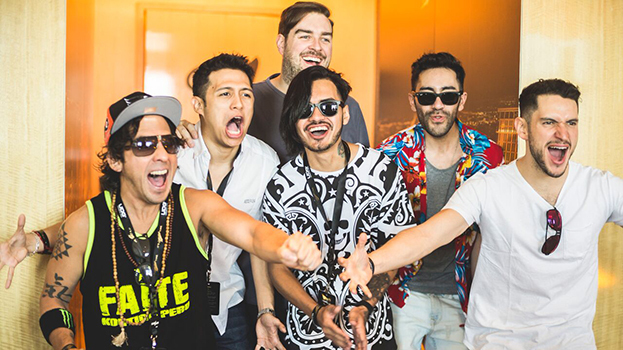 What was your favorite Miller SoundClash moment? "My favorite moment was at Marquee Dayclub when I was playing at the pool, minutes and seconds after touching the 3rd or 4th track of my live set and seeing the clear sky and people dancing and singing, that was my favorite moment. You could say I have other moments like when we were waiting for the announcement of the winners with the beautiful sunset of Las Vegas at the Hyde Bellagio."